Mezosfera’s fifth thematic issue is published in conjunction with the Budapest presentation of the three-channel film Two Meetings and a Funeral (dir. Naeem Mohaiemen, Bangladesh, 2017) at tranzit.hu. 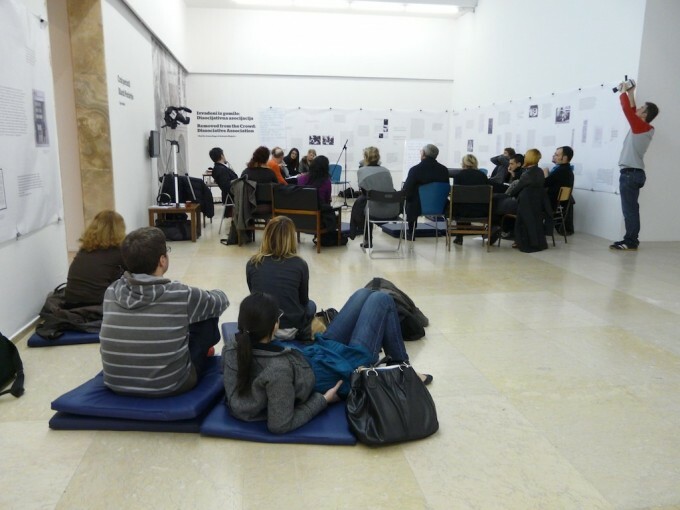 The film project in Budapest was also accompanied by a reading group of the Free School for Art Theory and Practice. This special issue is, at the same time, a continuation of Mezosfera’s previous edition entitled Propositions for a Pan-Peripheral Network, a beginning of tranzit.hu’s research into the transnational history of Eastern Europe with the Third World in the Cold War era. Two Meetings and a Funeral, as a larger framework, chronicles the history and the eventual eclipse of the Non-Aligned Movement (NAM) through the ascendance of the Organization of Islamic Cooperation (OIC). This story is also set against the backdrop of Bangladesh’s history—shortly after achieving independence in 1971—of its pivot: from a socialist orientation (as narrated in the film through Bangladesh’s participation in the Non-Aligned conference in Algiers in 1973), towards an Islamist direction (attending the OIC meeting in Lahore in 1974). Ignited by the complexity and meticulousness of Mohaiemen’s directing and editing in Two Meetings and a Funeral, as well as his long-time commitment to the research of the global Left, the Mezosfera issue—as well as the choice of the Center of the Metalworkers’ Union as the venue of presenting the three-channel film in Budapest—similarly attempt to take an investigative approach of the (socialist) past. The exhibition venue correlates Two Meetings and a Funeral with the Hungarian workers’ movement, with the first local trade union that also went through countless turning points in its history. The Budapest Association of Iron- and Ore Workers1 was formed in 1877, which was then expanded in 1903 to become a nation-wide federation of the Hungarian iron- and metalworkers (Vasas Federation of Metalworkers’ Union). In the interwar period, popular education and progressive culture also played an important role in the unions’ life. Moreover, beyond its advocacy function, it was one of the sites of resistance to the rise of fascist dictatorship in Hungary in the 1930s and early 1940s, through the course of which several members of the union lost their lives. After the Second World War, the Metalworkers’ Union lost its autonomy, advocacy role, and grassroots character, and was incorporated into the rule of the Hungarian Communist Party. It was due to this subservient role that the large auditorium of the Metalworkers’ Union was chosen as the venue for one of the most infamous Stalinist-type show trials in Hungary, that of then Minister of Foreign Affairs László Rajk. Rajk was tried and executed on the false charges of being a Yugoslav spy. His show trial unfolded against the backdrop of the Tito-Stalin split in 1948. In the fear of not appearing to be loyal enough, and thus risking being cast off by Stalin, then Hungarian leader Mátyás Rákosi wanted to prove his allegiance to Stalin by putting Rajk on trial. Following the regime change of 1989, The Vasas Federation of Metalworkers’ Union, adapted to the current era of neoliberal capitalism, still functions in its central building in Magdolna Street. On the other hand, the Union as a cultural place, which was once an integral part of it, was forgotten, especially after 1989. Activating the history of Metalworkers’ Union through the means of contemporary art was realized by a recent exhibition entitled Book Friendship in 2017 that dealt with the left-progressive tradition of access to culture. 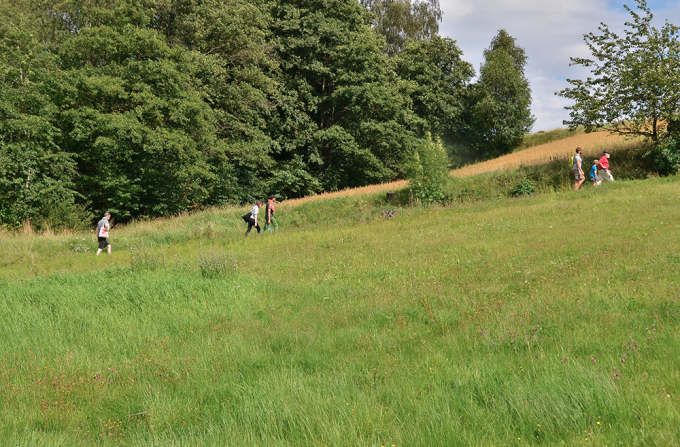 It was through this re-discovery of the Union that paved the way towards selecting this particular venue for the three-channel film (and also tranzit.hu’s relocation to the building of the Union). The central building of the Vasas Federation of Metalworkers’ Union was built in 1928 with Art Nouveau and Modernist components, the nucleus of which is the large auditorium, decorated with stained glass windows of iron- and metalworkers. The venue of the exhibition thus also refers to one of the elements of Two Meetings and a Funeral: the film travels through the residues of transnational architecture in New York, Algiers, and Dhaka—symbolic buildings which have ideologically eroded, but are still in use. In line with the multilayered interpretation of the residues of the past, the Mezosfera issue entitled Refractions of Socialist Solidarity puts forth an untangling of shared, transnational histories during the Cold War era, in and between the “Third World” and the “Second World.” Within this venture, the special issue of Mezosfera aims to contribute to the growing scholarship on the role, and relations, of Eastern European socialist countries and the decolonization of Afro-Asian countries. In contemporary art and cultural endeavors around Socialist Bloc – Third World relations, it is usually the Soviet Union or Yugoslavia and the Non-Aligned Movement that are foregrounded, but other Eastern European countries of the Warsaw Pact (Albania, Bulgaria, Czechoslovakia, Hungary, Poland, Romania) are not or only tangentially included.2 Another line of inquiry in art and cultural projects have prioritized the micro level, the individual side of Socialism, often investigating the trajectory of students from Third World countries who studied in Socialist Bloc countries.3 There are also art-related publications on Eastern Europe and decolonization in terms of epistemology4. Current, and newly emerging, historical and anthropological research that addresses the involvement of Eastern European countries in the Third World, and thus endeavor to reconstruct the “official,” state-level of events and discourse, is almost exclusively written in English, and is mostly conducted, generated, and owned by institutions outside of Eastern Europe, in Western Europe.5. Generating research about Eastern Europe from Eastern Europe is pertinent for several reasons. In terms of Hungary, reconstructing the history of the socialist past in its details is still ahead—without which its ramifications will continue to unfold in the present without fully understanding them. In conjunction with this, international research outcomes likewise need to be embedded in Eastern Europe through local channels, otherwise the risk for Eastern European researchers is to miss out on interpreting—and contributing to interpreting—local histories from a more global point of view. This thematic issue of Mezosfera aims to contribute also to these efforts. A further step in the process could be to carry out this research in local languages as well, beyond the dominant “lingua franca” of English. The issue takes the concept of socialist solidarity as its point of departure. It was the state-directed policy of “international socialist solidarity” through which Hungary and other Eastern Bloc countries built official relations with the Third World: diplomatic and economic agreements as well as a geopolitical-ideological construction manifested in official discourse production6. The Mezosfera issue investigates the transnationality, complexity, and contradictions of socialist solidarity. It includes texts on Hungary’s cultural-diplomatic relations with Third World countries and an essay on looking back at the role of Yugoslavia in the Non-Aligned Movement. There are also two texts which look into relations within the Third World: on large-scale cultural events that came to being around the idea of Pan-Africanism and Pan-Arabism in the 1960-1970s. A common thread of the texts in this issue talk of the potential of a “unified front” of a “hopeful future” yet to come—a sense of prefigurative politics, when a desired future is set forth through its micro-scale realization in the present. On the other hand, all of the essays in the issue revolve around the refractions of these intentions: the complexities and myriad contradictions of socialist and transnational solidarities that were built on egalitarian principles but, in practice, were also fraught with propaganda practices, hierarchical relations, and behind-the-scene intentions. 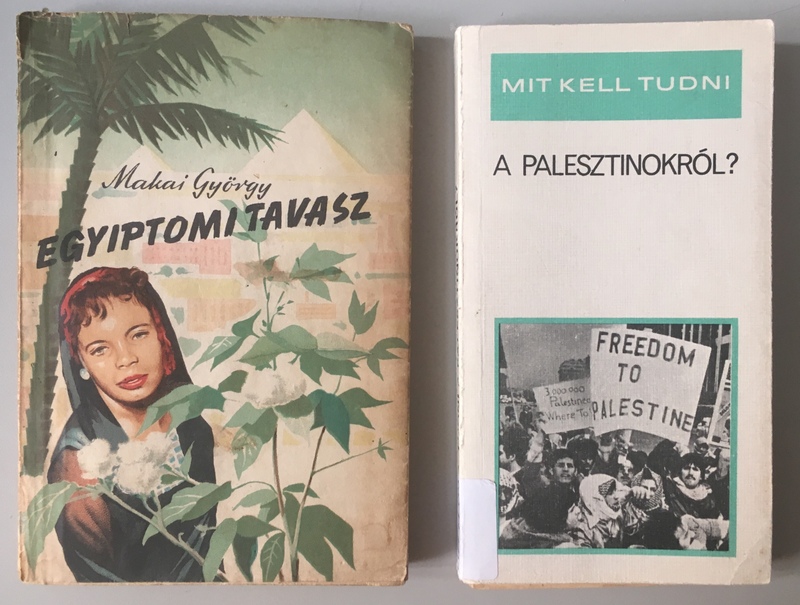 Eszter Szakács’s text assesses another facet of socialist Hungary’s relation with the Third World: the state-directed solidarity with the Arab World through publications that appeared between 1957 and 1989. Underlining the paradoxes of Hungary’s solidarity gestures with Arab countries of the Middle East and North Africa, the essay investigates the juncture points of Hungary’s globalist commitments, in relation to ideological purposes, diplomatic ties, and economic interests. Two texts of the issue examine transregional connections: one is by Dominique Malaquais and Cédric Vincent on four festivals that were realized along the spirit of pan-Africanism in the 1960s and 1970s. 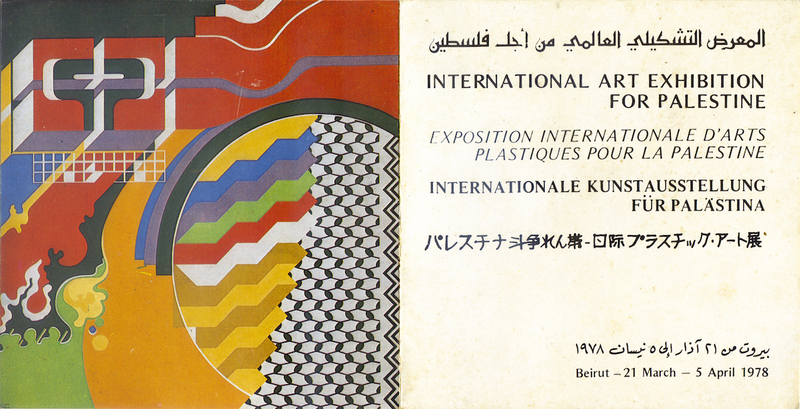 The other is an original text by Nada Shabout on the Arab Biennial, mostly about its iterations in Baghdad in 1974 and in Rabat in 1976, as well as on the larger contexts of the General Union of Arab Plastic Artists that initiated the biennial. With quotes from people involved, the essay also teases out the various reflections on the biennial. While the Arab Biennial, as Shabout also points out, is largely considered today as a failure, on the other hand, as other researchers have pinpointed,7 the Arab Biennial, organized along the concept of pan-Arabism, pre-dated, for instance Manifesta as a nomadic—and Euro-centric—biennial by two decades. “Etangled Panafrica” by Dominique Malaquais and Cédric Vincent is re-published from the Non-Aligned Modernism Series edited by Zoran Erić and published by the Museum of Contemporary Art, Belgrade. Malaquais and Vincent look at four different cultural festivals in Africa: FESMAN in 1966 in Dakar, PANAF in Algiers in 1969, Zaïre 74 in Kinshasa, and the second FESMAN in 1977 in Lagos. The two authors not only propose, instead of the normative monographic reading, a complex and interconnected understanding of these four festivals, but they also underscore the caveats of research and offer various insights to these multilayered investigations—both of the authors are directors of the PANAFEST Archive. Unpacking entanglements is also the subject of Zsuzsa László’s text, which tracks down two different but interconnected lines of the Cold War era, from the perspective of Hungary. One is the Western/US support, and CIA infiltration, simultaneously fighting against totalitarian regimes in Socialist Eastern Europe and supporting independence struggles in the Third World. László underlines how this predicament often pitted the Third World and the Second World against each other as rivals for Western funding. The second line that she traces with case studies is the question of official versus personal levels of solidarity in Hungary, and the sheer complexity and sensitivity which this unfolded within Hungary’s relations in the Middle East in the Cold War. One of the main underlying questions of the issue’s essays is that of looking back, which is examined by Uroš Pajović in his text. He is also responding to Two Meetings and a Funeral from the perspective of Yugoslavia’s role in the Non-Aligned Movement. He likewise proposes a prism—to understand refractions—through Henri Lefebvre’s trialectics of space. Another commonality that can be drawn within the texts concerns the nature of research: it is frequently conditioned by the scarcity and availability of sources and documents. Furthermore, all of these research endeavors have political implications, and are shaped by various ideological discourses, and finding a firm position not only concerns the next possible stages of the research, but also understanding how heritage of the past can, or should, be activated. Eszter Szakács is a curator and editor based in Budapest. She has worked at tranzit.hu since 2011. There she is co-editor of the online international art magazine Mezosfera and curator-editor of the collaborative research project Curatorial Dictionary (2012–2016). She was co-editor of the book IMAGINATION/IDEA. The Beginning of Hungarian Conceptual Art. The László Beke Collection, 1971 (Budapest, Zurich: tranzit.hu, JRP|Ringier, 2014). Most recently, she organized at tranzit.hu the Budapest presentation of the three-channel film Two Meetings and a Funeral by Naeem Mohaiemen. Her research interests in art include concepts of internationalism and forms of cultural resistance, especially in relation to Eastern Europe. She was a curatorial team member of OFF-Biennale Budapest in 2017 and a research group member of the …OPEN MUSEUM...project and handbook initiated and published by the Museum of Ethnography, Budapest (2014–2018).